If you are running an online store, you know the importance of prompt customer support. Placing a live chat widget on your website would be a very sensible move to improve your customer support process. Through the chat window, you are opening a channel where customers can interact with you instantly with their problems and queries. However, the potential of this live chat window has grown to be much more than a simple communication tool. Apart from being a great customer support tool, live chat has become a lead generation tool for many online stores. 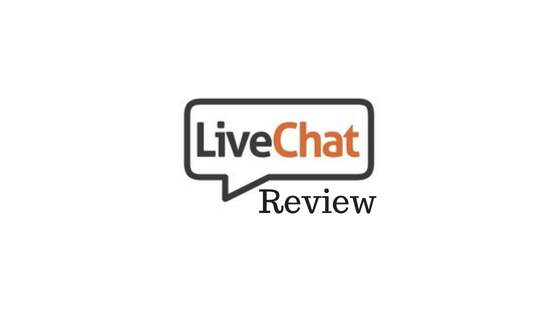 In this review, we will dig deeper into one of the most popular solutions – LiveChat. 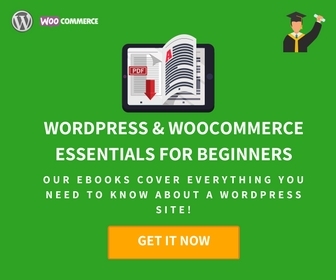 Also, we will look at how it can specifically help WordPress WooCommerce sites. 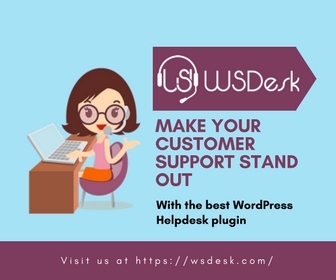 Read our article to know more about a few of the best Live Chat options for a WordPress site. 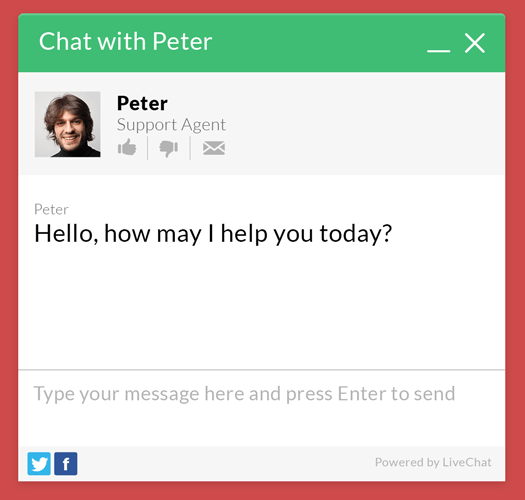 LiveChat is a SaaS tool, that integrates with your website to help with customer support, and lead generation. It helps you be in touch with customers whenever they need, and also at situations where you think they need you. That is because, it gives you power to approach customers in a targeted manner to follow up on the behavior patterns of customers on the site. Apart from facilitating an online chat system on your website, it also offers communication channels through mobile app, social media and email. LiveChat also helps you integrate a range of other tools you might need to use for analytics and marketing purposes. By providing an open channel of communications with customers, you are setting their expectations right. LiveChat makes your customer engagement initiatives more proactive. You can initiate chat automatically with customers based on certain criteria you set on the site. The feedback from customers will help you improve multiple aspects of your business. It also gives you an option to customize the chat window to make it suitable to your brand’s design style. Live Chat also has several features such as ‘canned responses’, to make life easier for your support agents. Moreover, it gives you a great overview on the performance of your customer support team as well. LiveChat has pricing plans that suit all kinds of businesses, from small companies to big enterprises. The Starter pack is priced at $16 per month per logged agent. The most popular plan is the Business plan, which is priced at $50 per month per logged agent. You will find advanced features like Staffing prediction, Work scheduler, Multiple brandings, etc., with this plan. For big businesses, the fully loaded Enterprise plan will be the best fit. Live Chat Offer for LearnWoo readers! Live Chat offers an exclusive deal for LearnWoo readers. 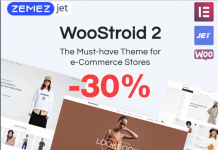 You will get a 30% discount on the first payment for all pricing plans of Live Chat, when purchased using the link on the LearnWoo deals page. You can simply click on the offer, and signup for a suitable plan. The discount will be redeemed to you after the end of the trial period. Live Chat also offers a free 30-day trial to help you determine if it’s the right solution for your store. Live Chat helps your customer support agents respond faster to customer queries in multiple ways. The chatting tool of LiveChat is equally comfortable for both customers and support agents. You can get an idea of what customers are typing even before they hit the enter button with the ‘message sneak-peek’ feature. When agents identify repeated queries from customers, they can save time by using pre-defined answers or ‘canned responses’. Moreover, you get control to specify what information your customers and users need to input about themselves. It also offers a feature to tag your chats so that you can identify similar cases more easily. File sharing feature will help with the easy exchange of files between customers and agents. It also offers an integration with Dropbox, for those who prefer the tool. While chatting with a specific customer, information on past interactions are readily available on the chat window. Moreover, you can access archived chats to study and improve your workflow. LiveChat offers several features to improve customer engagement on your site. You can set up a proactive chat invitation to customers based on the actions they performed on your site. LiveChat also provide an option to address users by name, which will make it more personal. It also helps you identify the customer better, so that you can approach them in a more targeted fashion. For example, identifying a returning customer would help you prepare a suitable response. LiveChat offers eye-catchers to help your customers spot the chat window more easily. When you are offline, you can still accept customer queries through the ticket form. You will be able to place the chat feature on Facebook as well, if you have a lot of customer engagement there. Choose between two options to place the chat on your website. Either embed it on your site so that it follows the customer throughout the site. 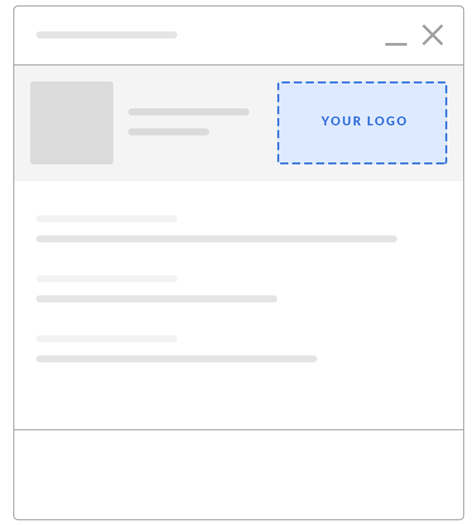 Or keep it as a popup window separate from your site. When a new chat comes in, you can automatically direct it to one of the available agents. It even helps in directing returning customers to a particular agent who has better expertise in handling them. LiveChat offers great customization features so that it will blend in effortlessly to the design elements on your site. You will find four unique themes that determine the basic style of the chat. After picking one, you can change the color to suit the color scheme of your site. It offers an option to display your brand logo on the chat window as well. You have the option to edit the display text on the chat window according to the site’s requirement. Option to chat with your customers in their preferred tongue. LiveChat offers translations to over 45 languages. If you’re a coding expert, you can make changes in the look and behavior of your site more easily. You can easily add social media buttons to the chat window to provide instant access to these pages. It provides an option to add a profile photo of the agent as well. This will help in making the experience more personal for the customer. LiveChat will also help you maintain a ticketing system primarily aimed at handling issues when your support agents are not online. It will be also helpful when you encounter issues that need a more detailed look or warrant an expert solution. With LiveChat, you can create tickets in several ways. Customers can create tickets using the ticket form that you display when you are offline. You have the option to customize the fields on the form. Your agents can create a ticket while they are chatting with a user, or by accessing a chat from the archives. Another option would be to forward your support emails to the ticketing system. Creating tickets from multiple sources will add efficiency to your support process. LiveChat helps you measure your customer support initiatives to identify potential improvements. You will find a basic reporting feature that highlights the chat and ticket reports for the last seven days. The dashboard provides a glance of the most important metrics of your store. Moreover, you will find detailed chat reports that gives you information such as customer satisfaction rate, chat duration, and average response times. 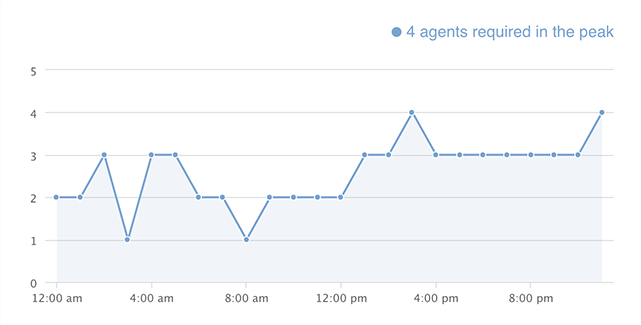 It also offers a staffing prediction tool, which will give you insights on the number of agents you require to handle all the chats on a particular day. You can also monitor agent activity on a timeline, so that you will know who is available and who is busy at a particular time. Similar to chat data, you can also find detailed reports on your ticket data. You can export reports to a CSV, and send them to your email. LiveChat also allows you to generate these reports in a pre-determined schedule. That means you can generate CSV files of the reports daily, weekly or monthly. Various filtering options will assist you in spotting patterns and trends from the detailed reports. You can filter reports by using various parameters like agent, time, tags, etc. Unique features like staffing prediction can be quite handy to allot support agents sufficiently on a busy day. When you are running a business, your customer engagement strategies will be distributed over multiple channels. LiveChat offers ample options to your customer engagement strategies. There is a web app, which you can simply login to and start chatting. Or, you can use a desktop app, that will automatically start when you switch on to your workstation. The mobile app surely will be the preferred choice of many business owners who are perpetually traveling. You will get push notifications when there is an event that demands your attention. LiveChat offers easy integrations with a lot of tools that you might be using to manage your business. Some of the popular tools for which you will find an integration are: Google Analytics, Facebook, MailChimp, Salesforce, Dropbox, etc. With LiveChat, you can set specific goals such as a sale or signup, and then tie them to chats. This will help you measure the effectiveness of your chat feature. Actually, this gets more specific with the Sales tracker, which will give you an exact value of chats resulted in sales. Moreover, it gives you information about user’s location and referring domain, which will be helpful to increase chances of conversion. How LiveChat integration helps WooCommerce stores? LiveChat offers seamless integration with several eCommerce platforms including WooCommerce. You can manage all aspects of live chat from your WooCommerce admin panel, as the integration is enabled by a plugin. It offers better live chat targeting based on the products viewed by the customer. In addition, you will also know the open cart data of each customer. This will enable your agents to approach each user in a more informed manner. Find some interesting tips to recover abandoned carts. You can manage LiveChat from your WooCommerce admin, as the integration is achieved through a plugin. You can approach potential customers based on their browsing patterns, and manage increased conversions on your store. The average response time to your customer queries can be really improved with the help of LiveChat. This will lead to a better customer experience on your store, and as a result you will see more loyal customers and repeat purchases. 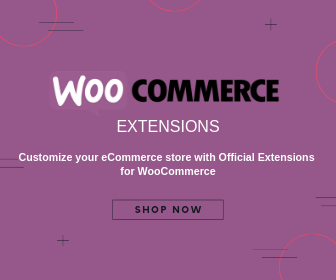 Understand how to address WooCommerce customer customer experience challenges. LiveChat is a tool that can be used effectively, irrespective of the size of your business. For example, EasyCompanies, with an employee strength below 10, effectively utilized the multi tasking possibilities of LiveChat. According to them, when resources are scarce, the same agent can handle the queries of multiple customers. This has actually helped them reduce their support calls, which was the primary form of customer support for their business. British Film Institute, which can be considered as a medium sized business, improved their movie rental and subscription service with the help of LiveChat. They could improve their service hours and first response time, which greatly reflected on the customer satisfaction rate. The BFI player website is even keen on improving user experience further by connecting error messages with chat responses. As for a large enterprise, the Polish branch of telecom company Orange has used LiveChat effectively to significantly improve conversion rates. Contextual greeting and user behavior based chat initiations have helped them improve customer engagement and thereby sales. They also used the monitoring capabilities of LiveChat to improve the overall customer support process. In the current digital age, users are looking for instant resolution to their issues. And they access websites from all over the world and at all time zones. Getting them connected to a support agent readily will do a lot of good to your site’s user experience. Offering a live chat window is one of the easiest things you can do in such a scenario. In addition to offering superior customer service, tools like LiveChat are offering valuable options for lead generation as well. 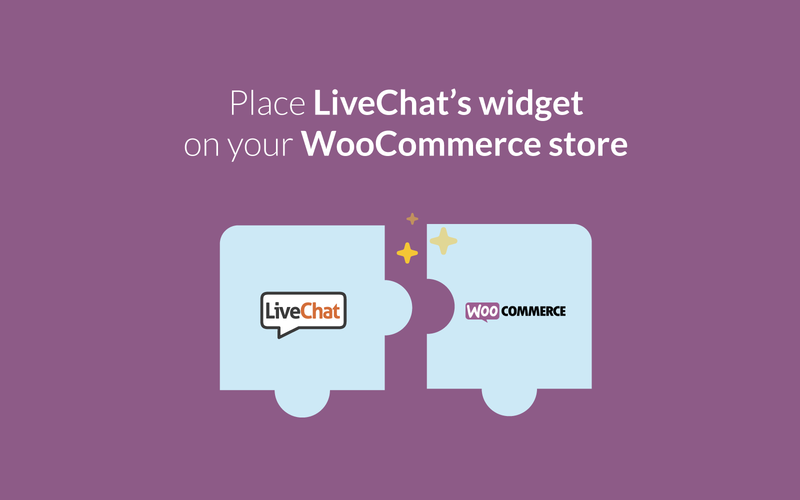 If you are running a WooCommerce store, you can integrate LiveChat and mange it right from your WooCommerce admin. It will help to improve customer satisfaction, loyalty and consequently your conversion rate. Get LiveChat with an exclusive LearnWoo offer now! How to use customer data to improve conversions?